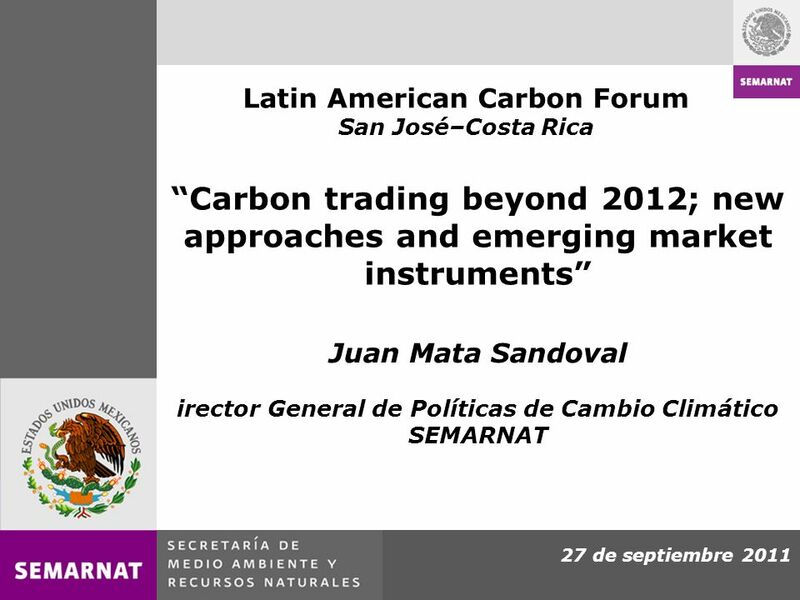 27 de septiembre 2011 Carbon trading beyond 2012; new approaches and emerging market instruments Juan Mata Sandoval irector General de Políticas de Cambio. 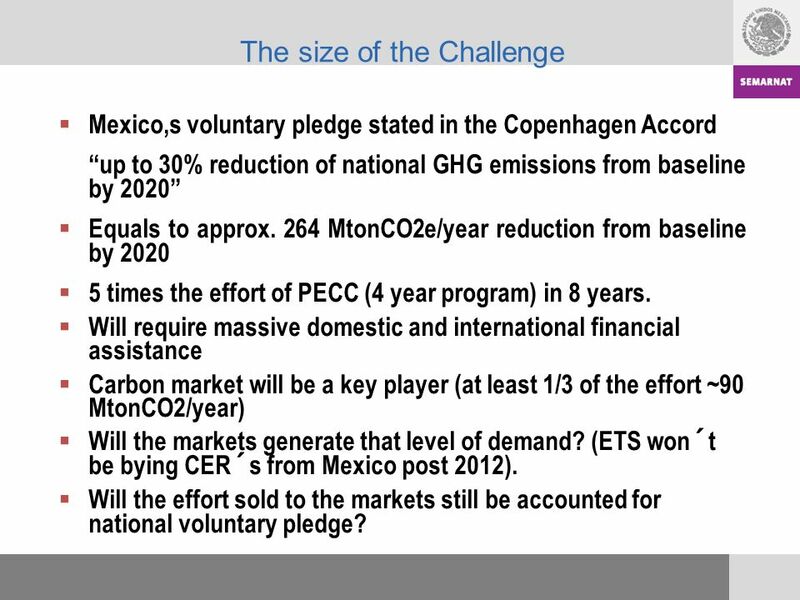 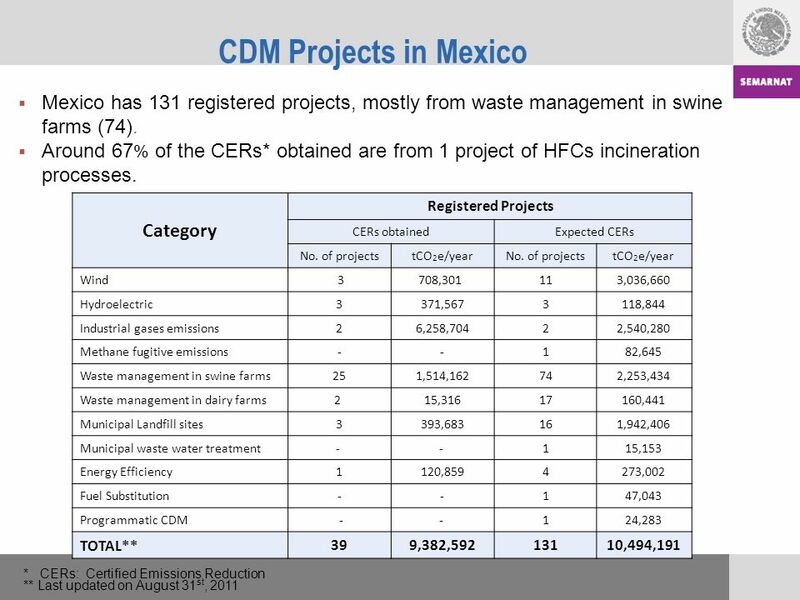 8 The size of the Challenge Mexico,s voluntary pledge stated in the Copenhagen Accord up to 30% reduction of national GHG emissions from baseline by 2020 Equals to approx. 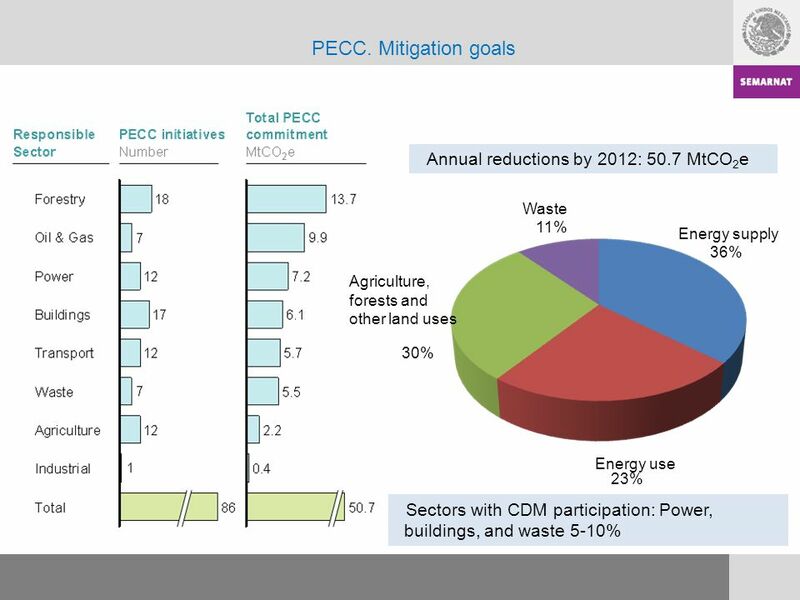 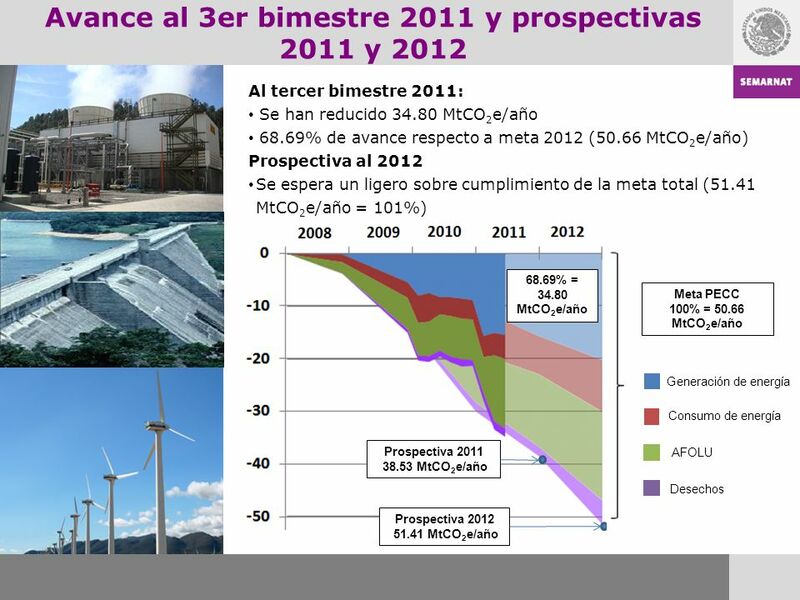 264 MtonCO2e/year reduction from baseline by 2020 5 times the effort of PECC (4 year program) in 8 years. 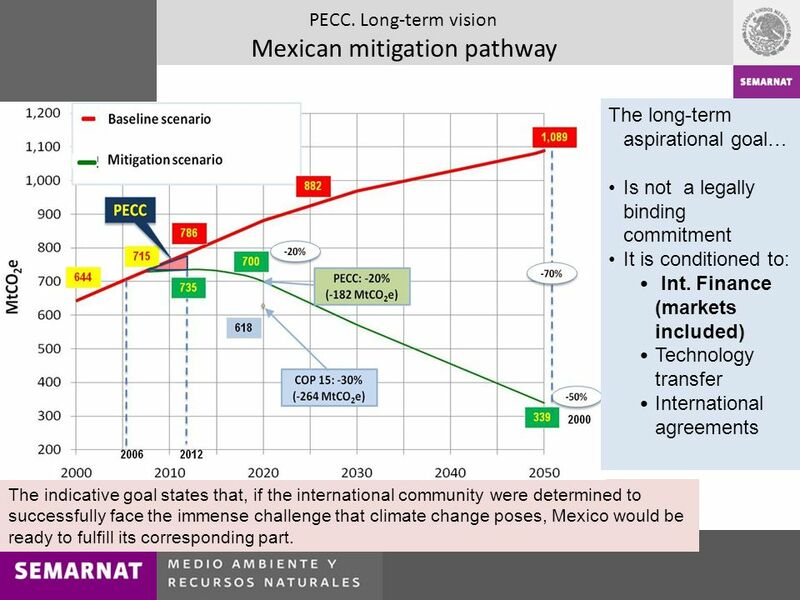 Will require massive domestic and international financial assistance Carbon market will be a key player (at least 1/3 of the effort ~90 MtonCO2/year) Will the markets generate that level of demand? 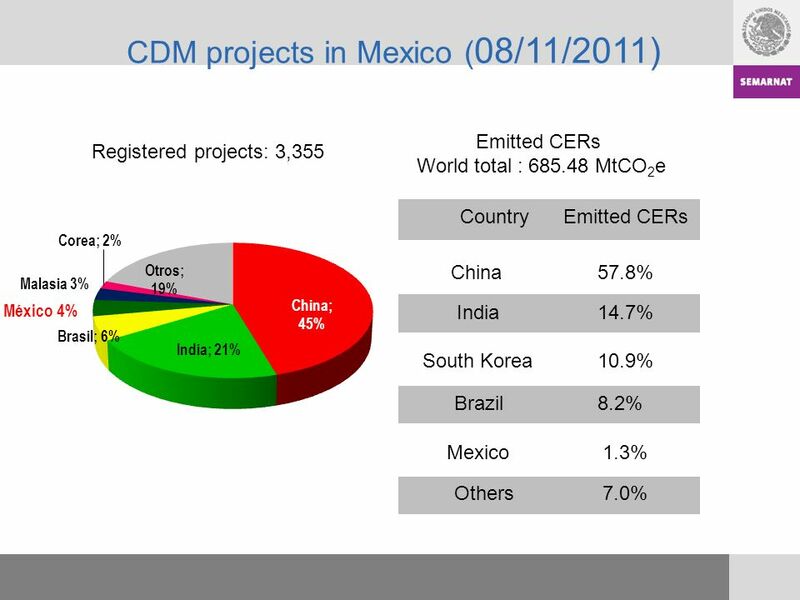 (ETS won´t be bying CER´s from Mexico post 2012). 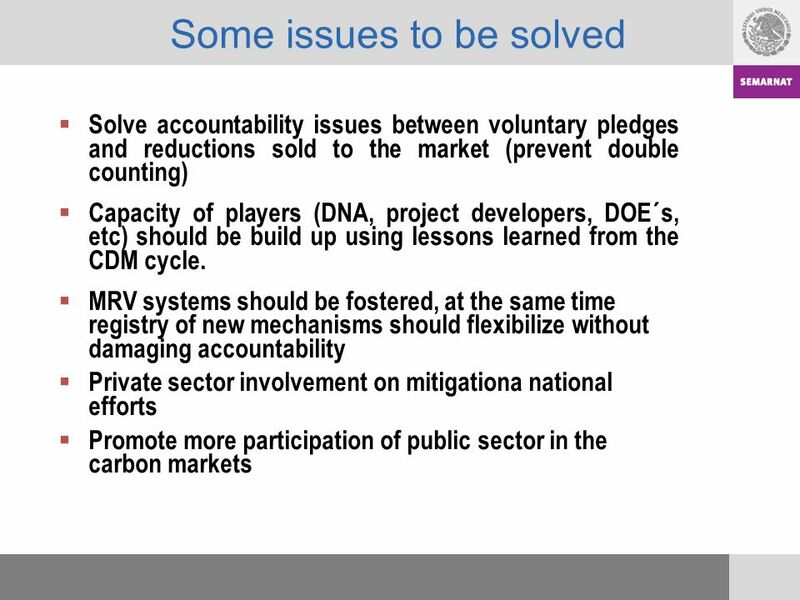 Will the effort sold to the markets still be accounted for national voluntary pledge? 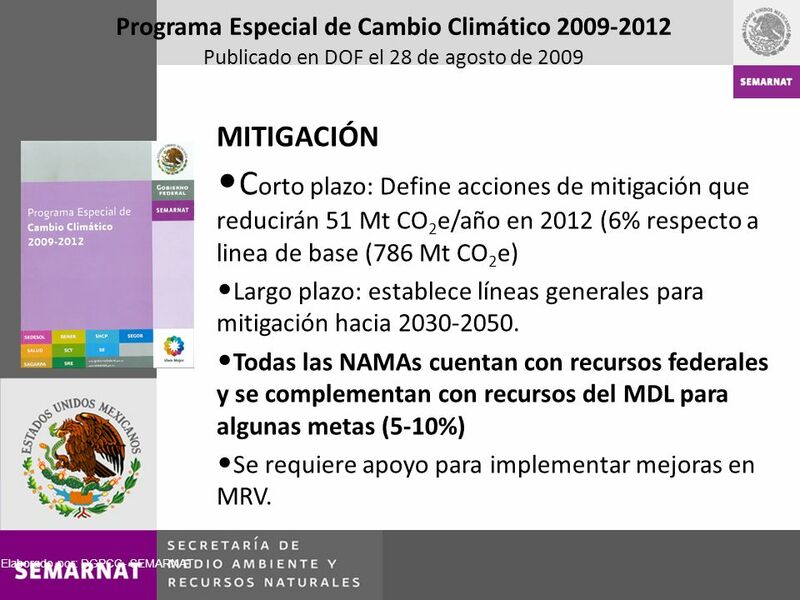 Descargar ppt "27 de septiembre 2011 Carbon trading beyond 2012; new approaches and emerging market instruments Juan Mata Sandoval irector General de Políticas de Cambio." 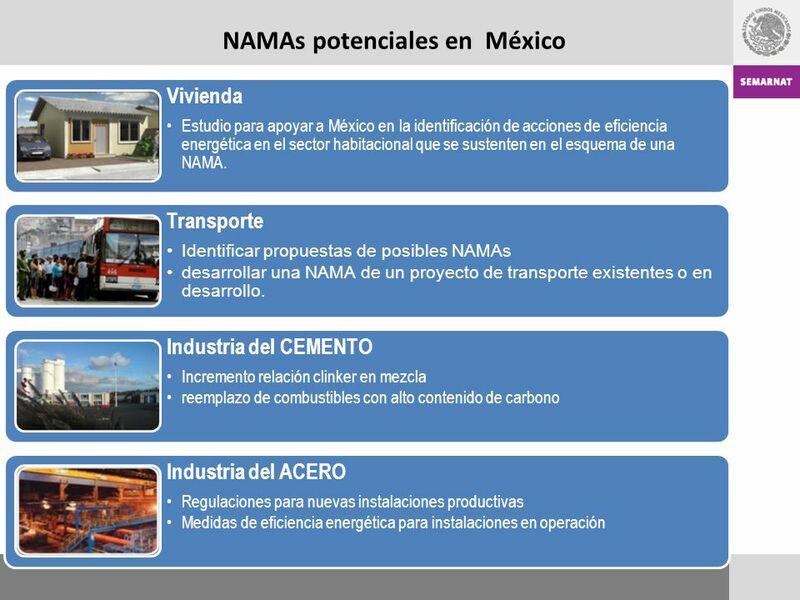 PRESIDENCIA DE LA REPÚBLICA Ministerio de Ambiente, Vivienda y Desarrollo Territorial Ministerio de Ambiente, Vivienda y Desarrollo Territorial República.